When Jillian Grey answers Dalton McCullough s newspaper advertisement requesting a mail-order bride to take care of his three young children, they both agree that their marriage is one of convenience and nothing more. But when they realize their growing attraction for each other, they must decide if giving in to their feelings is worth the risk of upsetting their new family s delicate balance. This engaging debut from Prudence Bice is a wholesome love story that satisfies and uplifts while reaffirming your faith in the human spirit. I read another book by this author the other day, The Kissing Tree, and loved it so much I sought out if she had written anything else. 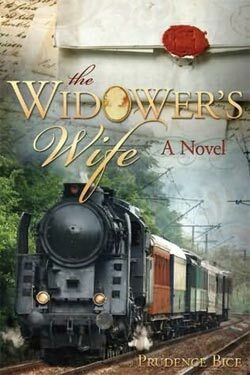 The Widower's Wife is what I found. I was just as good, if not better! This time period has always fascinated me. The Wild West. What must it have been like for women in those days? The hardships they had to bare and what was life like? Anyway, this was a great story. Finding love through loss. I felt for the children and I was rooting for Jillian and Dalton to finally voice their love to one another. I wasn't sure if they ever would! If you like historical books, then this is for you. It's got a western feel to it as well as a bit of adventure! I loved it! I will be dreaming of Dalton tonight. LOVED this book. I still think about it. Want to re-read it. The characters just spoke to me. Amazing.